A busy weekend is upon us here in Major League Soccer. Eight games stretched out over two days and we’ve already gotten off to a fun start after last night’s two games ended in a bit of a surprise finish. Both D.C. United and the Colorado Rapids came into their games as slumping clubs but each came away with big 2-1 victories over the surging Seattle Sounders and Houston Dynamo, respectively. As we head into the weekend, each of those clubs from last night play the double-dip on the weekend. Two more if you count Toronto and Vancouver, who both played in the Canadian Cup last night (and both advanced to the finals). Below are some items that I am keeping tabs on this weekend as I cover games here, at Big D Soccer and at SBNation.com. 1. Fox Soccer’s big MLS push. We talked about the new Fox Soccer push the other day (notice how its Fox Soccer and not FSC anymore?). While some of the improvements sound nice, I’m really holding out to see if any of them actually do anything to enhance the broadcasts for MLS games. We’ll at least get a nice sneak preview of the Portland Timbers and Philadelphia Union on Fox Soccer tomorrow night. Perfect game for Fox Soccer to make their new push if you ask me. 2. Speaking of JELD-WEN Field. We’ve joked plenty of times about how Portland could very well go unbeaten at home this season after their big 1-0 win over Real Salt Lake last week. I honestly believe right now that this game against Philadelphia could be an even bigger test. Sure RSL is great and all but they were coming off the CCL hangover and were resting a few folks. Philadelphia is still out to prove to the league that they belong in the top club discussion here. I think they’re getting closer to it too and a win in a place like JELD-WEN would certainly help ease the minds of a few doubters out there. 3. Back at it in Salt Lake. Streaks are always meant to be broken and RSL finally saw a lot of theirs come to an end last week. Honestly for a club like RSL that is the best thing that could have happened to them. They needed a jolt that showed them that they aren’t as dominate as they think they are. If I know anything about RSL is that they thrive on overcoming things like this and this game at home against Chivas should be no exception. Now that the CCL hangover is out of the way, they can begin building a new streak. Jason Kreis will likely have his troops on high gear for this one as they welcome in a surging Chivas squad that is looking much better in recent weeks. Chivas coach Robin Fraser knows his former club well so this one will be fun to watch. 4. Any bounce back for TFC? Toronto may have moved on in the Canadian Cup last night but their play in the league in recent weeks hasn’t been anything to brag about. 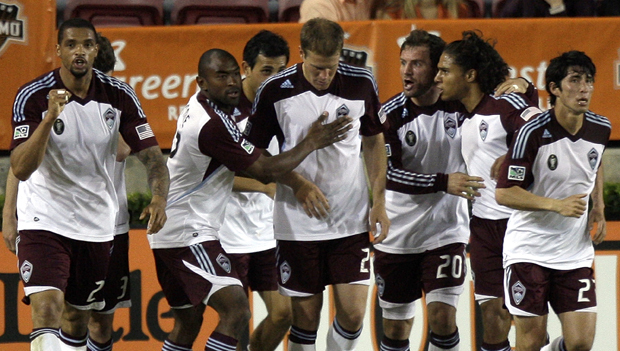 Getting back at home will help as they host a Dynamo team that is coming off an ugly loss. Houston will have to pounce on Toronto early or this one could end up being one of those games that ends in a draw. Toronto has to be careful too as Houston will want to quickly erase the bad loss at home to the Rapids from last night. 5. Revs on the rebound. Last week was ugly for New England. No question about that. Their defense was pathetic against Chivas USA and their offense lacked any punch. Going against the Colorado Rapids won’t be easy as they are coming off a much-needed win of their own last night down in Houston. The Revs have to find some form of consistency with their midfield here. They looked solid a couple weeks ago but last week against Chivas they failed to maintain any form of quality possession while putting more pressure on their defense. I believe their defense is good enough to do well this season but they showed last week that even against a mid-tier team like Chivas, they can still get hammered. Colorado may be banged up offensively but they showed last night they can scored when needed. 6. Can the Crew continue their form? While beating a fairly depleted Vancouver defense last week I had to wonder, when will the Crew come crashing back to reality? Or is this just what we’re going to get out of them this season? Quality defending with so-so offense. This should be an interesting test this weekend as the Seattle Sounders come into town looking to erase their 2-1 loss to D.C. United. 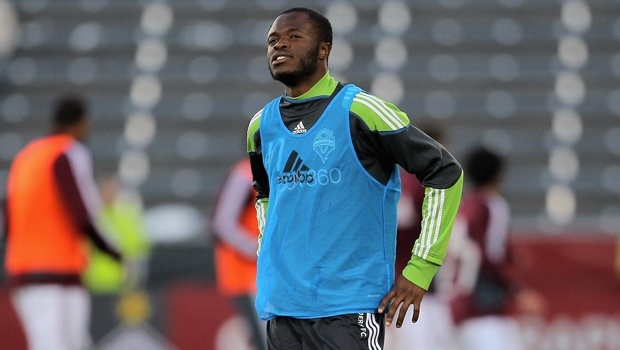 The Sounders are banged up offensively but they still have Fredy Montero. I think it is always worth checking out Sigi Schmid verus one of his old clubs too. No doubt he’d love to put an end to the Crew’s impressive run right now. But if the Sounders play any bit like they did last night, they’ll drop even more points on the road here. 7. Dallas in RFK. One thing is certain about FC Dallas playing at RFK Stadium, recently, they’ve had their way of things there. I’ve watched some crazy games between these two clubs over the years at RFK Stadium and I’d imagine this weekend will be no difference. The big thing to watch will be Dallas’s speed against United’s defense. Slowing down Dallas and forcing them into mistakes in the midfield is a big way of getting goal-scoring chances on them. In recent games Dallas has done a nice job of holding possession and finding their own chances on frame. And as we saw against LA, they can score even when they are meaning to cross the ball. 8. Something may have to give in Chicago. Neither the Vancouver Whitecaps or the Chicago Fire are scaring anyone at the moment here. Though I’ll admit, this new player the Fire signed yesterday (Cristian Nazarit) sounds like an interesting prospect for them. I doubt he’ll have any impact in this game though against the Whitecaps. As for Vancouver, they’ll be coming into this one on some shorter rest. Right now for the Caps, getting their defense tightened up is a big concern for me at the moment. The Fire know how to score and could do so in bunches this weekend. 9. NY-LA fun. I’m sure the hype machine will be in full force this weekend for this game. The league will probably have the lovely (yet kind of lame) hashtags for Twitter and with the game being on ESPN, they’ll do whatever it takes to me this one as big of a deal as possible. But is it? Sure these are two of the best teams in the league right now but are fans from around the league really that eager to see these two teams right now? Good question. 10. DP madness. This game will only feature five DPs, and for some reason that seems like one less than we’d expect out of these two clubs. But I don’t see this game falling solely on the DPs involved. Sure Landon Donovan and David Beckham are key in the midfield for the Galaxy but I see Juninho having more of an impact on this game. Same goes for Juan Agudelo and Luke Rodgers for New York. I think this one comes down to play on the flanks and we’ll see some fantastic matchups there too.